Dead Island: Epidemic isn't just a free-to-play MOBA - it's a ZOMBA! Like MOBAs? Like zombie outbreaks? Then you might just like Dead Island: Epidemic, a MOBA set in Deep Silver's world of undead horrors. Details are just about non-existent at this point but the game will set three teams against each other in a head-to-head battle for survival and offer, at least according to the paper-thin announcement on Facebook, "unique gameplay twists on the free-to-play MOBA genre on PC." Also, lots of zombies. Hence, ZOMBA! Does the world need another MOBA? Probably about as much as it needs more zombies. It might be good - hey, it might even be great - but a small part of me wonders if perhaps these are two horses that are rapidly approaching a sufficient level of flogging. We'll find out soon enough! 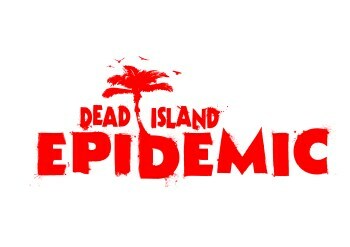 Dead Island: Epidemic will be rolled out all nice and proper at the 2013 Gamescom in Cologne, Germany, which runs from August 22 to 25. That's only a couple weeks away so it's not like you'll be left in agonizing suspense for long, but if you want to be among the very, very first to know when something noteworthy happens, you can sign up for the newsletter at deadislandepidemic.com. In the meantime, enjoy the logo.